Plumbers have very many uses, especially in city homes. You will find that their work can be invaluable for stopping a smaller problem increasing and ruining your entire home. Therefore, having a plumber who you trust is essential. They will be responsible for making sure your home is safe, that all the water issues have been dealt with properly and that your pipes work correctly. 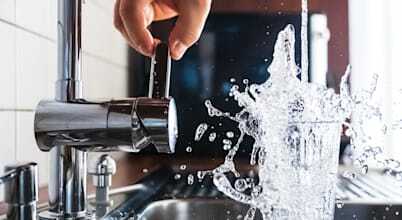 A plumber will also deal with your outdoor water fountains, any drainage and blockage problems and also the pressure of the pipes which supply the water to your bathroom and kitchen. If you live in an old building and find yourself having problems with burst pipes, your plumber is also the person to call here. Hopefully, they will be able to help you out quickly, but replacing pipes can be a difficult job. Make sure you have them check out any pipes you are worried about too! A plumber is also required when you plan to install a swimming pool or a Jacuzzi in your home. They take care of hot and cold water, so that you get the best experience in your luxury indulgences. Make sure to thoroughly check out whoever you choose as you do not want unexperienced hands ruining your home and causing you more problems! For any tricky installations where the plumber has to work in accordance with the electrician, you may want to try and find an agency that supplies all these services together, so that you know they have worked together before or have been checked out well in advance. This way you are also covered if anything goes wrong. Your plumber will be the person who can set up water heaters and geysers, plumbers may also help you to clean and maintain these appliances. The scaling inside a geyser is a common problem. This issue badly affects the efficiency and flow in hot water pipelines. Another time when you will definitely require a plumber is when installing features like whirlpools and spas or Jacuzzis. They may also be a great assistance while installing shower cubicles and high technology toilets. How do I find a high quality plumber in Glasgow? You may find that when searching for a high quality plumber in Glasgow, there are many different things to take into account which can be very confusing if you have not been through the process before! It is essential to make sure that whoever you choose has a lot of experience, has had the right training and also that they are reliable. You may want to try and take the recommendation of friends, family and colleagues. Or simply go with the person who your neighbours choose. However, you cannot always be sure that they are going to be the most reliable choice. So it is definitely worth doing some research well in advance so that you can find someone that you can use time and time again. Check through many agencies and websites in order to find someone who has been talked about highly, but also speak to your plumber well in advance, to make sure that you can check out their references and so that you can also make sure that they have had a large amount of experience. If you decide to go with an agency, you may find that they can sometimes be more expensive, but often they will definitely have checked out their plumbers, so that you do not have to worry about this! An agency will also help you out if you have any problems or feel that the work has not been done to a high enough standard, which may not happen if you are hiring someone who works for themselves. Another great idea, if you are new to the city, is to ask the apartment administrator to help you find out which plumbers are good for what type of jobs. And finally, you should definitely use the brilliant resources on homify as you will easily be able to find someone who is right for you. From here, you will also be able to check out their Facebook, websites, and contact details, before you decide whether or not they are right for you! homify allows plumbers to create an account and display all their previous experiences. This helps customers to gauge the past experience and skills of the plumber! So make sure to use this resource! When you are hiring a plumber, you need to make sure that they have the right qualifications and experience, but also that they have very positive feedback from their clients. If you find someone who has not pleased their customers but is highly trained, you may find that they are worth avoiding. Make sure to get recommendations from your friends and family so that you’re sure they have done a good job for the right price too. If you found a plumber online, then it is also very crucial to make sure you go through all the reviews and feedback to decide upon the best person for you. You should always try and find someone who is efficient and reliable! Once you have found someone who you are happy with, make sure to use them for all of your issues as this way you will be able to form a good relationship. A plumber who knows that you pay them on time and fairly, is more likely to give you better rates and be happy to work with you. Always try to speak to your plumber in advance about the work that needs doing if you have a big problem, so that you are sure they will know how to handle the situation! How much will a plumber cost in Glasgow? Depending on how much work you need doing, your plumber’s fees may be very expensive, or you may be surprised at how little you are required to pay! Hiring someone who lives far away can be a problem as they may charge you for travel costs, this can quickly mount up to a high fee! Make sure that your plumber lays out exactly what they are charging for you in their invoice and do not feel bad about querying everything if you feel it is unfair. You should also make sure to try and discuss how much the fee will be in advance so that you do not have any nasty surprises and always try to agree on a fixed price if a lot of work needs to be done. Paying someone hourly can be very expensive, but sometimes unavoidable. Do not try and underpay your plumber, as if they are reliable and a hard worker, this is very insulting! Another cost to try and avoid is that of online websites and agencies, however, they will be able to support you if you find that something goes wrong and your plumber is unreliable! How can I keep the costs down when hiring a plumber in Glasgow? One of the most important things to keep in mind when you are trying to keep costs down, is that calling a plumber at night or on the holidays will be a very bad idea. Unless you have an emergency, it is sometimes worth trying to keep in mind many smaller plumbing issues which you can ask your plumber about when they come. Having someone come out for just one small issue can often be a very expensive business which is definitely not a good idea if you are trying to keep down the costs of your home! Make sure to speak to your plumber in advance so that you both have an idea of how much you should be spending. There are so many professionals to check out when it comes to having the perfect home. You may find that there are too many people to hire! However, homify is here to help you out. With our resources, you will easily be able to check out the best people in your area who have good reviews and feedback. Below are some of the more popular professionals who are definitely worth considering if you are trying to make sure your home is perfect! You will find that there are many different floor fitters. Before you can find the right professional for you, it is definitely worth trying to make sure that you have chosen and sourced the right flooring and have the materials ready. This way you can find a floorer who has experience in the material and knows how to lay it properly! A floor fitter is the person who can make or break your home, a poorly fitted floor is not a desirable look, so always make sure to check out your floor fitter well in advance. Electricians are always needed when you are building your own home. Unless you are an experienced electrician yourself, you should not try and do the work! This can lead to many problems. Your electrician will be able to fix and install any lights or domestic appliances as well as making sure everything is running properly. Joiners are very important when it comes to getting the look of your home just right. You will find that your joiner is someone who can provide all the finishing touches and details. Their work is highly desirable and you may want to consider spending more here to make sure your home looks flawless!